It’s hard to live with a bland and boring backyard after being exposed to so many examples of beautiful outdoor living spaces on do-it-yourself shows and social media. Whether your yard is a three-acre expanse of weeds and trees or a tiny six-by-eight block of concrete, there are lots of things you can do to transform your space into something you and your family will actually want to share on Instagram. Here are a few of the best ideas, ranging from small touches to significant transformations. Even if your “backyard” is really a high-rise patio, simple additions really can make your space both livable and lovable. A cute outdoor rug is a great foundation piece, especially if it’s full of bright colors that you can repeat in the rest of your decor. Best part is that it’s easily replaceable when you’re ready for a new look. Set off your rug with some outdoor terra-cotta planters that you’ve painted to complement the colors in your rug and filled with hearty, low-maintenance outdoor plants. Add a painted chair or two, top with some fluffy cushions, and you have yourself a nice getaway spot for meditation, morning coffee, or an evening glass of wine. If you have a larger space, but want to keep your spending to a minimum, consider budget-friendly additions like a comfy hammock, a small fire pit, or a simple do-it-yourself fountain. Imagine dozing away under the boughs of two leafy trees, listening to the relaxing gurgle of water and a crackling fire—your backyard might very well replace your recliner as your favorite place to spend a lazy afternoon. Have a weekend and few extra dollars stashed away? Why not consider a larger backyard project like building a patio or deck, starting an organic vegetable garden, or adding landscaping elements to soften up or separate your space? Each of these endeavors might require the assistance of heavy equipment like backhoes for moving dirt or forklifts for transporting materials. Don’t think you have to have these in your garage, though. This type of equipment is available for rent at daily or weekend rates from most every forklift dealer in New Jersey, and they’ll even show you how to operate your rental. Already have a deck or patio that you’re happy with? Spruce it up with a fresh coat of paint, a lovely pergola, or some new outdoor furniture. The end-of-the-summer season is a great time to pick up outdoor dining tables and chairs, chaise lounges, and group seating at discounted prices; you may even have time to enjoy your additions a few times before winter sets in. Accessories are always an economical way to show your unique sense of style. Change out your seat cushions, throw pillows, or patio umbrellas with a bright new color or pattern to create a totally different look and feel in your outdoor space. If you really want to make the neighbors jealous—and significantly enhance the resale value of your home at the same time—why not create the backyard oasis of your dreams? You’ll find fully-functional outdoor kitchens, living areas with fireplaces and big-screen televisions, and sprawling custom pools in the backyards of some of today’s most desirable properties. For the best of backyard makeovers, you’ll probably want to enlist the help of a professional. Schedule plenty of time to go over your plans with a trustworthy, highly-recommended construction or swimming pool contractor in New Jersey to be sure they understand your vision, your preferences, and of course, your budget. 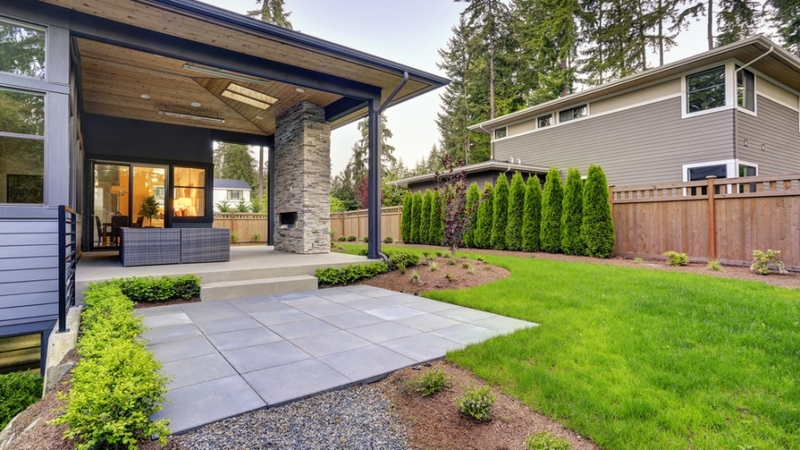 Rest assured, you don’t have to contract or complete every backyard project at once. As space, time, and money allow, you can easily and gradually upgrade your outdoor space to become the backyard of your dreams.